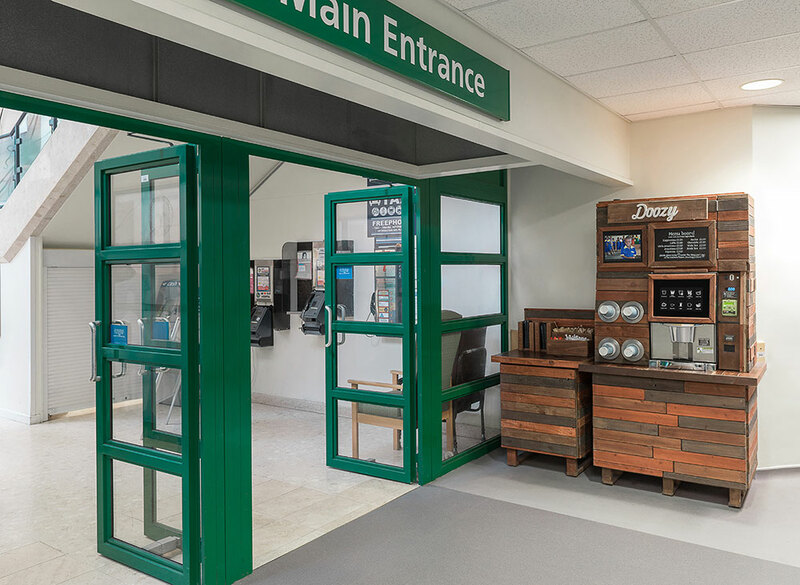 In 2015, Salisbury District Hospital (SDH) introduced Doozy to it’s patients, staff and visitors. The hospital is part of Salisbury NHS Foundation Trust and has 450 beds. They have over 4500 staff and 10,000 visitors a month. The hospital is one of only a few hospitals within the UK to have a specialist spinal injury treatment centre; as well as also being renowned for its pioneering work in plastic surgery and the treatment of burns. Prior to SDH introducing the world of Doozy, the vending was looked after in-house. SDH had over 20 machines on site, most of which were old and sold traditional high sugar snacks and cold drinks. 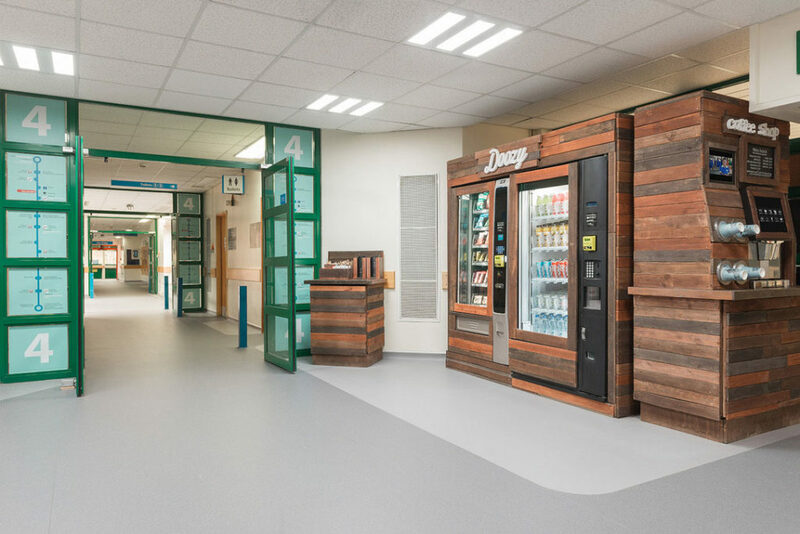 The trust wanted to outsource their vending facilities to free up their catering staff’s time and have reliable equipment so their staff, patients & visitors could obtain a drink or snack at any time of the day or night 365 days a year. As part of the tender process we suggested that as a health care provider they should look for a complete healthier vending offering that fits within CQUIN and get ahead of the legislation. Due to the popularity of large brands such as Coke and Mars they were initially concerned about losing revenue and so we suggested a trial. We placed Doozy in 3 areas; Level 4, a corridor which houses all the wards, the Staff Leisure Club and the Emergency Department (ED). After 3 months, the projected turnover rose by over 90% on what they had previously been turning over from the old machines. This is most likely to do with the products on offer, the choice of coffee and the stand out look of the machines. Importantly the locations (which we chose with the hospital) of the machines also plays a part in it’s success. We have since increased the number of Doozy locations on site to 8 (at the request of SDH) with the turnover still growing. “Doozy has been a great company to work with from concept to implementation, they have been responsive, supportive and professional. They have worked in partnership with us to deliver a vending service that is highly regarded by our customers and one that meets our aspirations around the provision of healthier snacks and beverages. The vending machines are attractive, routinely replenished, kept clean and well maintained, with exceptional response to machine faults. Paul Freeman, General Manager Support Services, Salisbury NHS Foundation Trust.